On October 26, 2012, at approximately 10:00 p.m., officers from the Anne Arundel County Police Department, Northern District, responded to a report of a crash involving a vehicle striking a pedestrian on Aviation Blvd., near Allwood Dr.
Officers arrived on scene and located the vehicle and the pedestrian. The pedestrian was treated by paramedics at the scene and taken to University of Maryland Shock Trauma Center for treatment. Crash investigators from the Traffic Safety Section responded to the scene to assist with the investigation. Evidence collected at the scene indicates that the vehicle was traveling south on Aviation Blvd. The pedestrian was in the roadway and outside of any crosswalks. The pedestrian was wearing mixed colored clothing. The area where the crash happened is not illuminated with street lights. 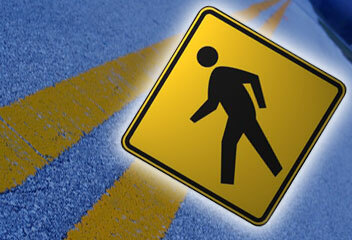 The driver of the vehicle was unable to avoid the pedestrian and struck him. The vehicle speed does not appear to be a factor in this crash. It is undetermined, at this time, if impairment on the part of the pedestrian contributed in any way. The preliminary cause of the crash appears to be pedestrian error.